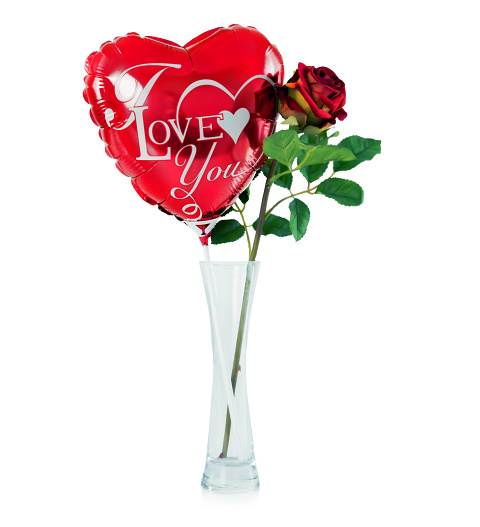 A beautiful Eternal Grand Prix silk rose, the symbol of romance, presented in a glass vase with a Valentine balloon makes this a truly memorable gesture. Your lucky Valentine will have the Eternal rose to remember this very special Valentines day forever. Included is a delicious box of Valley British made chocolates to make the day that more special.